As an observer of trends in attempts at the federal, state, and local levels to engage non-custodial fathers in the lives of their children, one of the trends I'm most pleased to have witnessed is the trend in the realization that most low-income non-custodial dads are "dead broke" instead of "deadbeat." Making child support payments more affordable. Reducing and, in some cases, forgiving arrears. Providing parenting classes so that fathers can become more involved in the lives of their children. Some states, such as Texas, have gone so far as to reconfigure their entire approach to collecting child support by reorganizing the agencies that collect such payments to focus on providing an array of services that strengthen families. In these states, the financial resources provided by non-custodial fathers is seen as only one of the assets that their children need to thrive. There aren't that many of these NCPs to worry about so that the amount of child support they owe is inconsequential? Custodial dads don't need as much financial help as custodial moms? These NCPs are, as some people might assume, more likely to pay child support because they're moms? Do the answers to these questions suggest that it's not worth the effort to collect what these moms owe even if it would help custodial dads provide adequate financial resources to their children? The answer to the first two questions is "no." 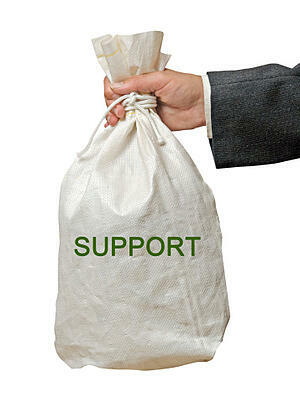 According to a report from the U.S. Census Bureau, custodial dads were owed $3.7 billion in child support in 2011. While that pales in comparison to the 31.7 billion owed to custodial moms in 2011, it's not an insignificant amount, and it's certainly not insignificant from the perspective of the custodial dads and their children. The rate of poverty among custodial-mom families was almost double that of custodial-dad families. Nevertheless, a significant proportion of custodial-dad families (16.2 percent) lived in poverty while even more were undoubtedly "poor." The answer to the third question is where these data get really interesting and, depending on your view when you started to read this post, surprising. A slightly lower percentage of custodial dads (41.4 percent) received all of their child support compared to custodial moms (43.6 percent). Moreover, a significantly higher percentage of custodial dads didn't receive any payments (32 percent) compared to custodial moms (25.1 percent). It's striking that it's as much of a challenge to collect payments from non-custodial moms as it is to collect them from non-custodial dads. The likelihood of paying child support is, at best, gender-neutral. It should be clear by now that the answer to the final question is a resounding "no." It's worth the effort to collect child support from NCPs regardless of gender. Organizations at the federal, state, and local levels should develop, test, and implement strategies and tactics effective at collecting child support from non-custodial moms and dads while acknowledging that some of these strategies and tactics might need to differ based on gender. What is your agency doing to ensure that children receive financial resources regardless of which parent has custody?